Finally, people are coming to Brisbane. 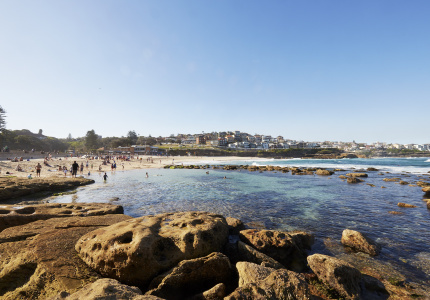 Once upon a time this city found itself in an awkward middle ground, stranded between the larger, attention-grabbing Sydney and Melbourne, and the smaller capitals of Adelaide, Perth and Hobart with their focused food, wine and cultural scenes. If people came to Brisbane it was to get to the Gold Coast or Sunshine Coast, or for a brief stop on the way to the Great Barrier Reef, Cairns and Port Douglas. At some point that changed. Perhaps it was the whole “new world city” boosterism invented on former premier Campbell Newman’s watch when he was lord mayor, but Brisbane stopped looking south for its inspiration and instead began to embrace Asia. Looking back there was an aspect of faking it until you make it – still, a steady evolution that started as far back as Expo 88 got turbo charged, creating a city with a vibrant, vital beat. You’re here, in Brisbane. Welcome. Here’s what to do. 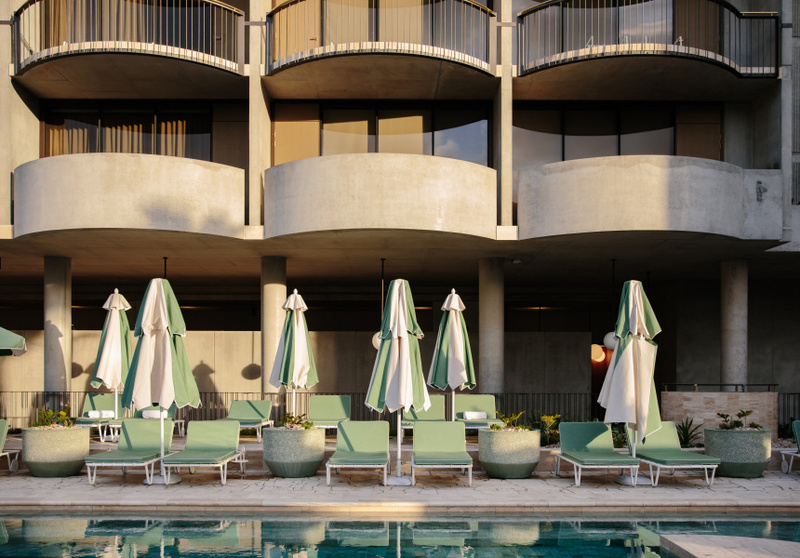 Encapsulating Brisbane’s newfound status as a destination city is the wave of hotel openings this year. It’s madness. Emporium crossed the river to be reborn at Southpoint and The Westin finally set up shop right in the guts of the CBD. Ovolo arrived in town in a big way, adding some flash to the already excellent New Inchcolm in Spring Hill, before backing it up with a brilliant second property in Fortitude Valley. And it’s not like there was a lack of good hotels already – Spicers Balfour and The Johnson are both excellent inns. If you’re planning to get cultural in Brisbane book a room at W Brisbane, a giddy, vertiginous five-star city resort just across the river from the Queensland Performing Arts Centre and QAGOMA. Still, in a crowded field the Richards and Spence-designed Calile is the standout. With its archways, careful brickwork and open-air hallways, there’s nothing else quite like it in Brisbane (or indeed Australia) right now. 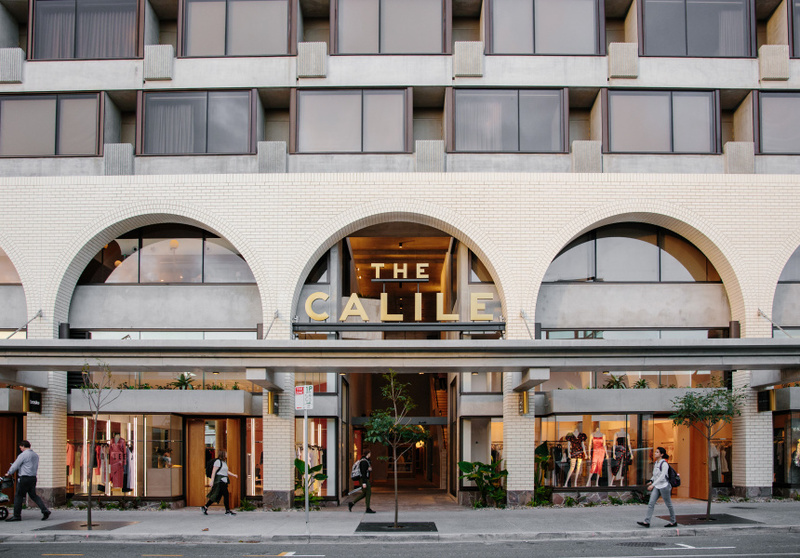 The Calile also lands you slap-bang in the middle of James Street, one of Brisbane’s busiest food and shopping precincts. 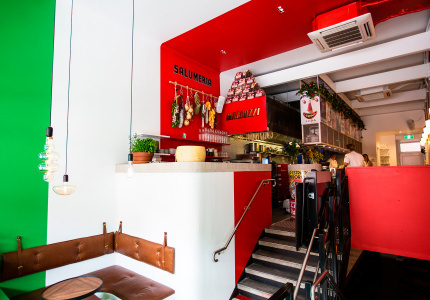 For coffee, drag yourself across Wandoo Street to Bellissimo – it has won an intimidating number of national awards in the past eight years and does one of the best Italian dark roasts in town. Brunch should be spent at King Arthur, an elevated breakfast cafe crammed into an old blister warehouse. Nodo’s gluten-free menu (and its luscious baked doughnuts) are also worth seeking out on Chester Street. 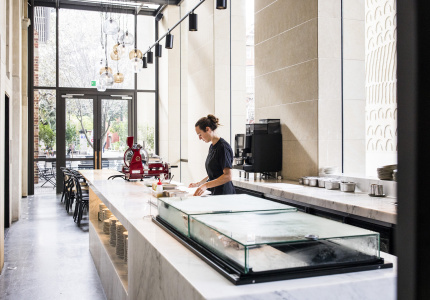 If you need to grab-and-go, wander down to Botanica for a cupcake or two and well-poured coffee from neighbouring Greenhaus. Hitting the CBD? 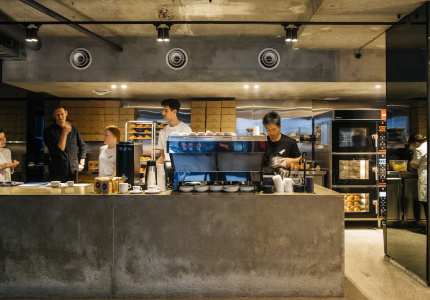 Caffeine stop at Adam Wang’s Coffee Anthology – the yardstick for speciality coffee in this city – or Marcus Allison’s terrific John Mills Himself, a tiny grotto in an old, subterranean print shop. For other breakfast options, you’re best to head outwards. Kin + Co, Pearl and Little Loco are a short cab ride away in Teneriffe, Woolloongabba and New Farm respectively, while the real discoveries are found even further away in Brisbane’s undulating, bucolic suburbs: Florence in Camp Hill, Penny Coffee Co on Annerley Road or Gramps in Red Hill. Brisbane’s dining scene has squeezed much of itself into the middle of the market in recent years, meaning there’s a heap of options for a breezy, unfussy afternoon meal. Fish Lane is the go-to. A gentrified laneway in South Brisbane, the surrounding precinct has been built quite literally from the top down by the handsome apartment towers that have sprouted throughout the area. Each comes with its own food and beverage joints at the ground level, further activating the laneway. For Vietnamese street eats hit Hello Please, while sister venue Ol’ School is doing the best fish and chips in town right now. Further along is beer cafe Saccharomyces and Wandering Cooks’ regular rotation of up-and-coming food operators. Finish lunch a block over on Melbourne Street with a couple of scoops at Gelato Messina and coffee at Naim on Melbourne. For pre-dinner drinks head back across town to Howard Smith Wharves. This remarkable precinct finally opened for business in November. Wedged next to a cliff face underneath the Story Bridge, it’s a dramatic spot for afternoon frothies at Felons or a cocktail at Mr Percival’s. You could then eat next door at Greca, John Barthelmess’s brand-new waterfront warehouse Greek taverna (pro tip: book ahead), but there’s also a bunch of Brisbane’s best restaurants back near James Street. Try Gerard’s Bistro just across the road from The Calile for modern Middle Eastern plates, while a walk away there’s Honto, the Longtime crew’s moody and much-celebrated new Japanese restaurant. Ristorante Tartufo, E’cco, Beccofino and Bar Alto are all excellent, and all a short cab ride away. Perhaps most essential, though, is Happy Boy. Cameron and Jordan Votan’s hip, crazy-popular restaurant takes your typical suburban Chinese dining experience and gives it a provincial spin (and a cutting-edge wine list). Slip next door to Happy Boy’s newborn little brother, the dark and moody Snack Man, for cocktails, Euro wines and a plate of chicken ribs if you’re still hungry. 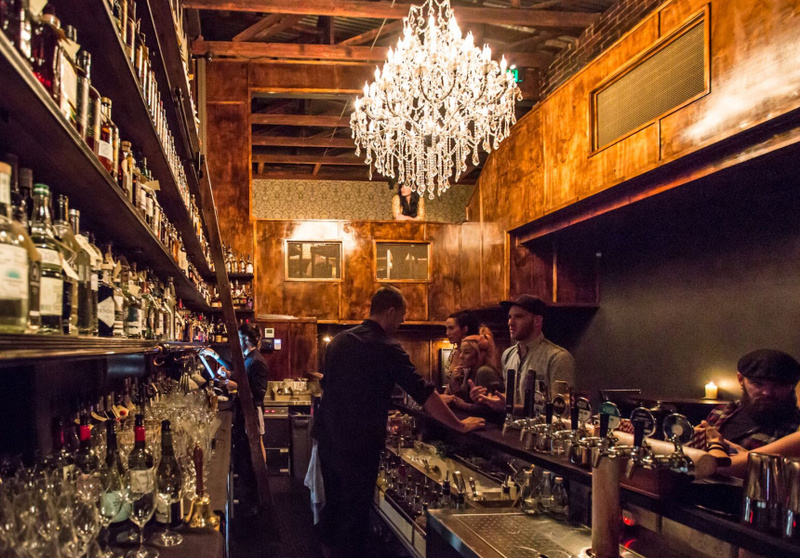 Otherwise, walk back across Ann Street for table-service drinks and laid-back rap music under the fairy lights at Gerard’s Bar. From here, you have a choice to make: either turn in at the hotel or wander up the hill into Fortitude Valley proper. The rule of thumb here? The closer you venture to Brunswick Street Mall, the gnarlier it gets. Savile Row is arguably the best boozer in Brisbane right now, a tiny five-level speakeasy with a 750-bottle strong back bar, but it’s getting strong competition from newly opened sister venue Finney Isles – a handsome 50-seat hideaway with a slick selection of wines and cocktails (order the Ballerina Blood). From here, you can turn things up a notch at Barbara, with its club-quality sound system or dance the night away at the iconic Bowery back on Ann Street. If you’re talking about how Brisbane became a new world city, then GOMA makes for a handy shorthand. A fabulous gallery with what’s generally regarded as the world’s best broad collection of Asia-Pacific art, all that goodness is on display right now for its blockbuster Asia Pacific Triennial. You’ve perhaps heard of GOMA’s Warhol, Matisse, Piccinini and Kusama shows over the years, but APT is the gallery’s signature exhibition and one not to be missed if you’re in town. Over the river, the Museum of Brisbane is exhibiting The Designers’ Guide: Easton Pearson Archive, a fantastic look into the artistry and techniques of iconic Australian fashion label Easton Pearson. Further afield, check out the QUT and UQ Art Museums. Both regularly host high-profile travelling exhibitions. James Street is once again your go-to for designers such as Gail Sorronda, Molten Store, Calexico, Scanlan Theodore, Gorman, Zimmermann and Natasha Schweitzer. The Calile has brought with it a bunch of new boutiques also; Bassike, Love Stories, Venroy and Dion Lee have all moved into snazzy retail spaces underneath the hotel. Further afield, Paddington has an enormous antique centre and long strip of natty boutiques, while the Queen Street Mall in the city has a huge number of both big brand and designer retailers, including Queensland’s first Cos store.